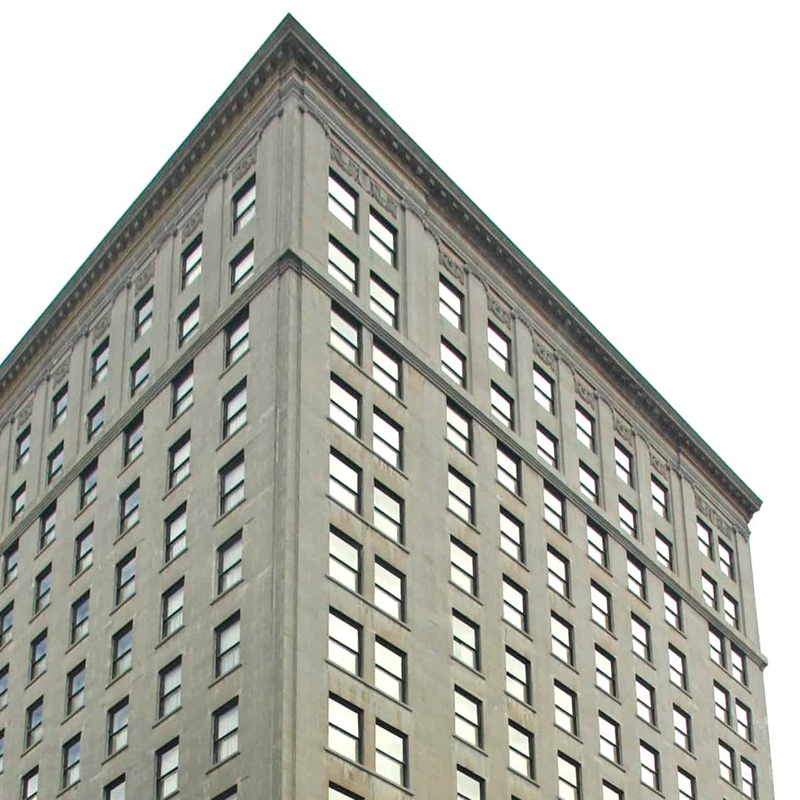 Located in downtown Columbus, Ohio, the Buckeye State Building is a 16-story, Classical Revival high-rise, a highly recognizable landmark that served as the headquarters of the Buckeye State Building and Loan Company (later known as the Buckeye Federal Savings and Loan Association) from its completion in 1927 through 1990. As part of a major rehabilitation project that sought to convert the building into a Marriott Residence Inn, Powers & Company was hired to both nominate the building to the National Register of Historic Places as well as provide Federal Historic Tax Credit consultation services. As the project’s historic consultant, Powers & Company oversaw the sensitive cleaning and repair of the building’s cast stone façade, the restoration of the original windows and bronze metalwork, and the fit-out of the main lobby in the grand banking hall, with its original marble finishes, teller counters, and impressive, 44-foot coffered ceiling. In the preservation of this character-defining space, a dramatic focal point and gathering area for hotel guests has been created. Upstairs, 126 modern guest rooms and suites were created where offices once existed.